The Written Word(s): I Must Be Out Of My Mind . . .
Nope, you don't have something in your eye, you're seeing exactly what you think you're seeing. I have decided, and am officially announcing to my geeky companions, that I will be participating in National Novel Writing Month, 2014. Now, I really feel like you have to understand, and it might not make sense because y'all know how much I love to read and how I love to write and want to write for a living one day, how normally this would be the thing I would be the LEAST likely to do! Honest to Blog, my friends have participated in NaNoWriMo for years. They are gung-ho about this and they are passionate about it even if they don't make it to the end. For me, I've always been an all or nothing kind of person. I feel that if I'm not confident enough in myself to make it to the end and "win", then I might as well not participate at all, which is why I've never attempted this before. November is an incredibly busy month for school, and I've always felt like it would be impossible to write enough, and to reach that many words by the end of the month. Plus I've never had a "good enough" idea that I felt I could flesh out and really write up to 50,000 words. But out of nowhere this month, during one of my classes, I was thinking about my blog and the amazing geek girl/iggle community that I'm apart of, and out of nowhere I got an idea for something I want to write, something that I really, REALLY want to try and get on paper (or onto a Word document, technically). I'm hoping that this will not impact the quality of my blog. I might not be able to blog (almost) every single day like I have this past month, but I'm not going to disappear either. 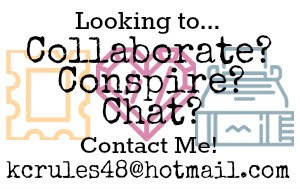 It's something that I want to do for fun, and it's going to me an amalgamation of all the things that I love (geekery, snail mail, supportive online communities, best friends, online web series and YouTube in general, great books, etc.) and I can use all the support I can get. I created an account on the official NaNoWriMo site, you can find me on there as Kacie2292 if you feel inclined. Please feel free to post in the comments or Tweet me some encouraging words, any advice you might have, and send me as many electronic hugs as you can muster. If you are also participating this year, I'd also love to extend the favor. I picked up the revised edition of Chris Baty's No Plot? No Problem! : A Low-Stress, High-Velocity Guide to Writing a Novel in 30 Days and it will act as my guidebook over the next 30 days. From what I've read, every excuse I have come up with not to do this has been explained away by this book, and I'm feeling more confident than ever. The next week before November will be settled into planning stuff for my book as well as figuring out my schedule so that I can make the most of my time and not lose my mind in the process. I believe that is all! If I decide to write anything else on here that is NaNoWriMo related, you'll be the first to see it if you decide to subscribe by email up above on the right-hand side. In the meantime, I'll be sure to keep you all posted! 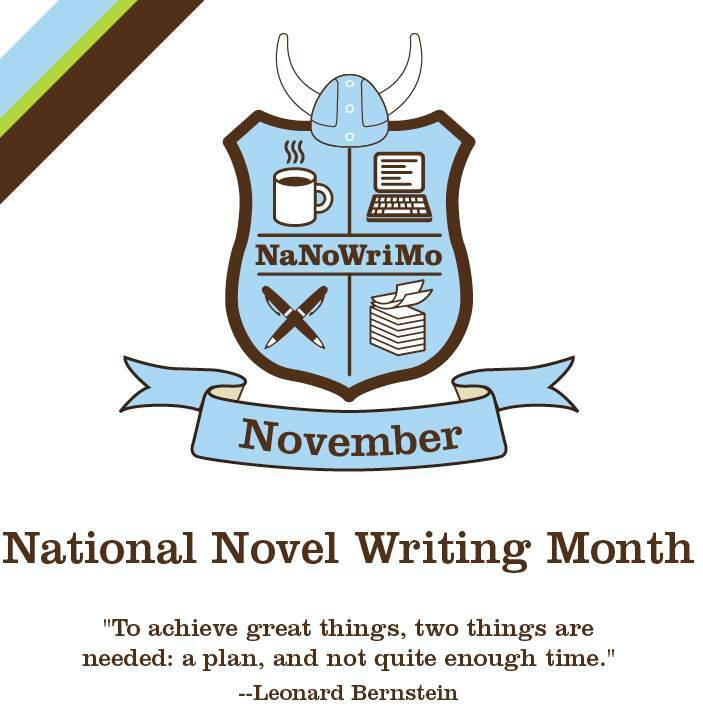 Welcome to the world of NaNoWriMo! :D Good luck with your novel. It really is fun and helps keep you writing your novel. See in the NaNo world!